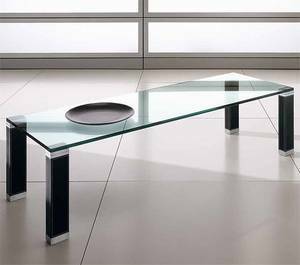 Description A stunning contemporary coffee table with a 15mm thick transparent glass top with matching glass legs (2x3 inches) or legs covered in hide leather (see leather colour options below). Black or white lacquered top also availble on request. Custom sizes can be accomodated, please call or email us for a specific quote. See related products below for images of the glass legs.